While Sheila and I were dating we lived fairly far apart. I found a really nifty site that helped with this dilemma – its called MeetWays. All one does is enter the starting address for both parties and then the type of meeting place you are looking for – e.g., a restaurant, library, movie theater, or park. 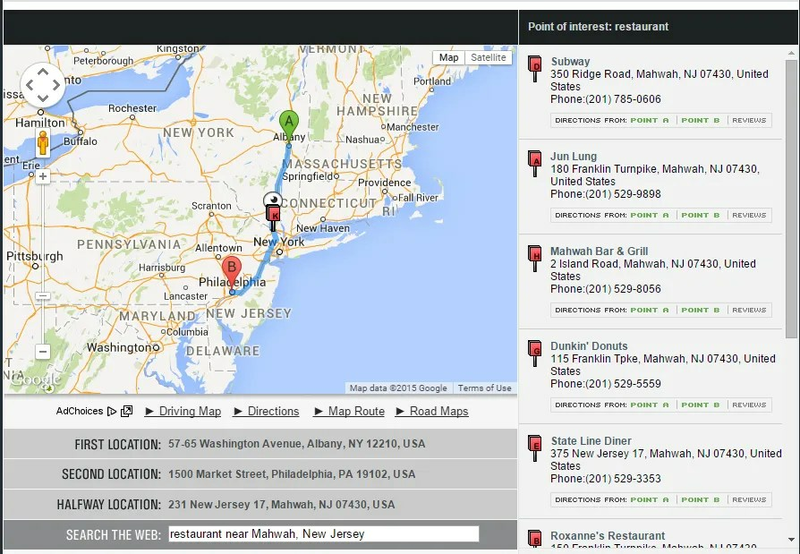 MeetWays then finds options for you that are close to equidistant between the two addresses.